The Department of Materials Science and Engineering consistently ranks among the nation's top materials science programs. Our eight world-class materials research centers, internationally recognized faculty and talented graduates enjoy the respect of industry leaders and academicians worldwide. Materials science and engineering is the study of materials based on their composition and structure. 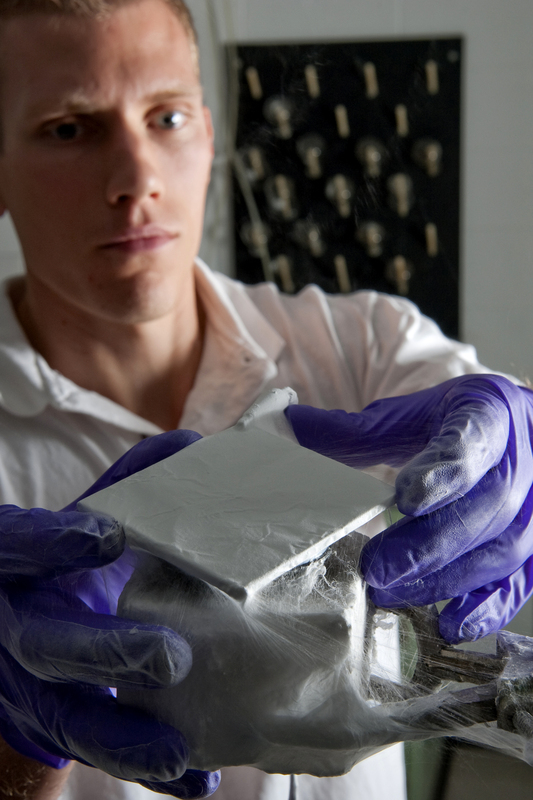 Materials engineers gain an understanding of the properties of materials, and then manipulate them for a wide range of engineering applications. Students in the MSE department are able to tailor their undergraduate programs to a variety of specializations, including biomaterials, ceramics, electronic materials, manufacturing, metallurgy and polymers, or they can design their own specialization with the help of a faculty advisor. At the heart of engineering is the material being engineered. The discipline of materials science and engineering explores the relationship between the structure of a material—from atomic bonding to macroscopic composition—and its properties such as strength, conductivity, bio-compatibility, and corrosion resistance. Based on these structure-property relationships, the best existing materials can be selected or new materials may be computer-designed and engineered with optimized properties. In short, engineers trained in materials science make the stuff of which stuff is made. Materials science and engineering careers can focus on biomaterials to repair the body, fuel cells for clean renewable power, nanotechnology and exotic functional materials for high-tech applications, and advanced alloys for the transportation and aerospace industries. Welding Engineering is closely allied to the study of Materials Science and Engineering and involves the technology behind efficiently joining conventional and advanced materials. Welding engineering explores the complex intersection of plasma and solid state physics, materials science, mechanical engineering and design, materials processing, and real-world applications. Our graduates pursue careers in a wide range of work environments such as resistance welding of advanced, high-strength steels for transportation and marine applications, adhesive bonding for advanced aerospace applications, micrometric wire bonding within electronics, medical device applications, and much more. From aircraft carriers and rockets to micro-joining for medical devices and electronics, the fact that nearly every segment of our economy depends on materials joining and welding means that our graduates pursue rewarding and exciting careers.